Avocados are on of my all time favorite foods. I love them in salads, on enchiladas, as a dip, and especially smashed on fresh bread. 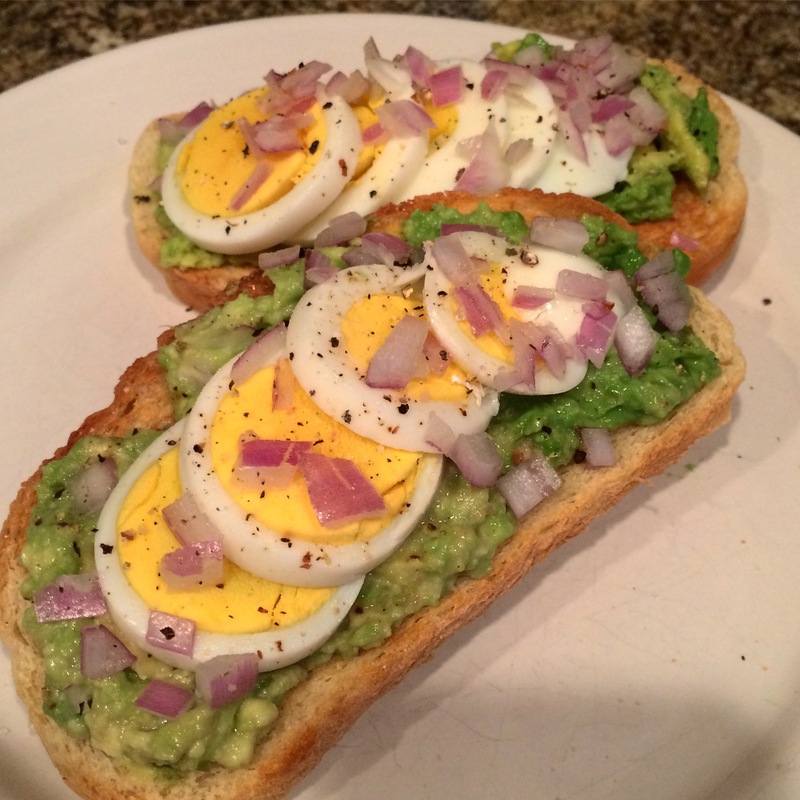 This is a quick and yummy breakfast idea that will keep you full all morning. If you tend to run short on time in the mornings you can make most of this ahead of time. Mash up your avocados and peal and slice you eggs the night before. Then, in the morning, toast the bread and assemble your toast. Did I mention that this is a “car friendly’ food? This one is super easy to eat with one hand. Toast the bread and set aside. In a bowl, smash together the avocado and red wine vinegar. Sprinkle with salt and pepper to taste. Spread the avocado evenly over the bread. Lay half the egg on each toast. Top with red onions and enjoy.